The Inn at Taughannock, formerly Taughannock Farms Inn, is part of the historic fabric of the Finger Lakes. The main building was erected in 1873 as a private, summer residence for John Jones of Philadelphia. Many of the lavish furnishings he brought with him are still in use today, some pieces imported from England and Italy. The chandeliers, thick carpets, lace curtains, and richly textured wallpapers are all faithful to the era in which the mansion was built. The Jones family lived on the estate for 72 years. Their 600-acre holdings stretched down to the edge of Cayuga Lake and they even had a private horse-racing track on the property! You can see the oval shape on the lawn as you look toward the entrance to Taughannock Falls State Park across from the Inn. 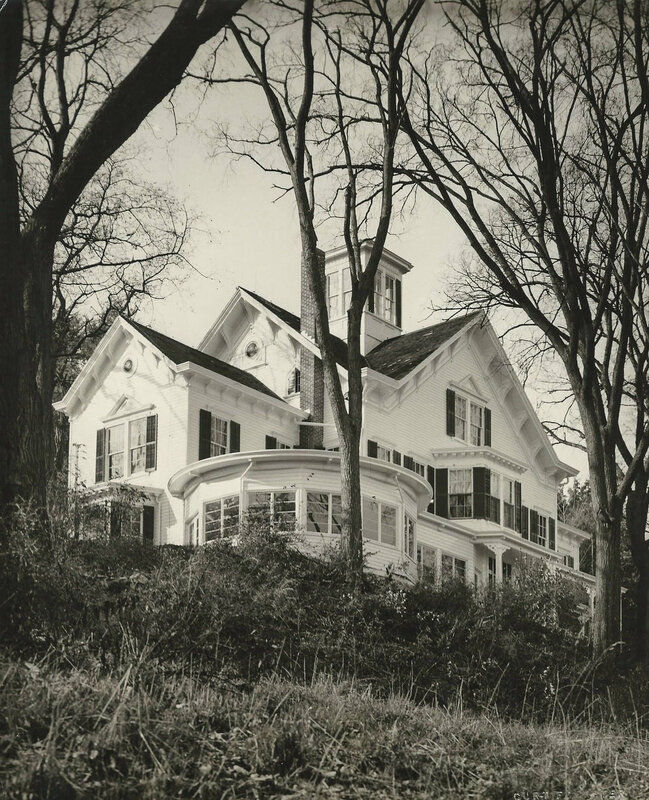 On April 10, 1925 Mr. Jones sold most of his estate to New York so the State Park could be created. At about this time, rooms in the mansion were rented out and food service added. 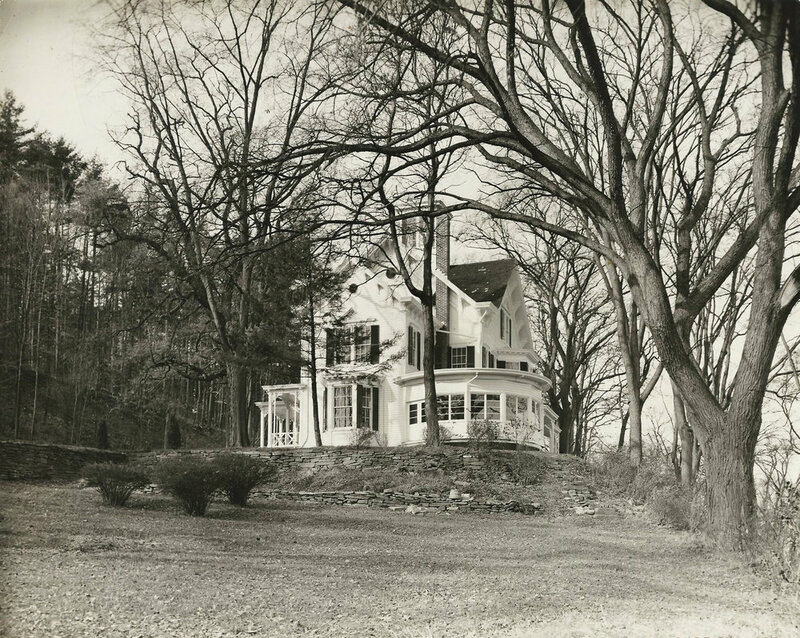 Merrit and Maude Agard bought the estate in 1945 with plans of opening a tea room. It was then on May 16, 1946, Maude's 40th birthday they opened and began operating as an Inn. Taughannock Farms remained in the Agard family until 1997, when it was purchased by Susan and Tom Sheridan, who ran the Inn until it's purchase February 12, 2016. Currently under new ownership, the inn will be undergoing some incredible renovations over the next year. With only four owners over the course of nearly 150 years, the character of the space has been preserved for a lodging and dining experience unlike any other in the Finger Lakes. Select Registry represents the most prestigious hotels in Canada, Europe and the United States. It’s a great honor to have been chosen by them, this association acknowledges our outstanding accommodations, top-notch service, exceptional hospitality and the one-of-a-kind experience we offer to our guests. We thank Select Registry for their acknowledgement, and hope their members will stay at the Inn at Taughannock and experience all we have to offer. Thomas Leonard is an award-winning Certified Executive Chef with over 30 years of experience. As Executive Chef, Thomas will oversee all culinary operations at the Inn. His core responsibilities include developing locally-inspired recipes, menu development and hands-on production. Additionally, Thomas manages food safety and sanitation, vendor relations, inventory controls and training. He has previously held executive chef positions at American Cruise Lines, Corning, Inc., Cornell University and The Elmira City Club. As a graduate of the Culinary Institute of America in Hyde Park, N.Y., Thomas holds an associate degree in culinary arts and business management. Thomas is married with two children and resides in Montour Falls, New York. Tiffany Teal was born in Baltimore Maryland. Inspired by her father, Bryant Teal, who was a member of the elite Special Forces, Tiffany joined the Army in 2003 and became a Military Police office. Severely injured in Iraq, Tiffany was honorably discharged as a disabled Veteran in 2008. Kimberly Sophie McDermott was born in Atco, New Jersey and earned a college degree in criminal justice. Upon graduation, Kim has worked in customer service positions her entire life. Over the past 13 years Kim was an employee at Bed, Bath and Beyond in Ithaca NY and served as the store manager the last 5 years. Kim and Tiffany first met at the BBB 4 years ago and became dear friends who work exceptionally well together. Kim was also invited to join the team at Taughannock at the same time Tiffany was hired. Since last October, Kim has become an invaluable member or our management team, revising hotel procedures, and working in event planning. Lloyd was born in the Bronx and graduated for Ithaca College in 1981 as a theater major. After working in Los Angeles for over 35 years both in film and television, Lloyd simultaneously pursued a position at American Airlines to enhance his love of travel. While employed at American, it paid off since he met his wife of 25 years, Diana and together they raised their 4 children. Recently Lloyd was working at Disneyland for 6 years before moving to Trumansburg and accepting a position as our in house Ambassador. Guest are naturally attracted to Lloyds charming and gregarious personality as he is happy to assist in any he can. Click on any of the articles below to read more about the Inn at Taughannock. "Forgive the pun, but there is plenty cooking at the Inn at Taughannock. Tom Leonard has been hired as the new executive chef just ahead of an Easter Sunday, April 1st opening day..."
"Love has flourished at the Inn at Taughannock since it opened its doors in 1946. Set in a picturesque hillside overlooking Cayuga Lake near Trumansburg, and nestled beside majestic Taughannock Falls, the 150-year-old mansion and its four surrounding buildings beckon couples from near and far..."
"New York’s small towns always make for great day trip destinations, but sometimes our towns are even more appealing to visit because many of them happen to be filled with tons of great tasting restaurants..."
"The Finger Lakes don't have many castles to choose from for hosting events. But if the new expansion plans for the Inn at Taughannock are any indication, you'll soon have a close facsimile..."
"Many of us have warm memories of Easters, Mother’s Days, birthdays or rehearsal dinners celebrated overlooking the park and lake from the Taughannock Farms Inn’s glassed-in porch, with warm sweet breads on the tables and veteran waitresses who could ramble through their long list of desserts without taking a breath...."
"The Victorian home that is now Taughannock Farms Inn was built in 1873 by Philadelphian John Jones as his personal country estate. During the 1930's Mr. Jones deeded the farm and most of his 600 acres to New York State for the creation of Taughannock Falls State Park..."
Something wonderful is happening at Taughannock. After 70 years, the inn is under new ownership. The new owners plan to retain the warmth and charm of the place while updating and expanding the facility. We're on the lookout for enthusiastic associates to join our team. We are seeking people who genuinely love serving other people and being an important part of a team that excels at it. Feel like you're a good fit? Explore available employment opportunities here and apply. Even if you don’t see any positions posted, please consider submitting an application. Download a pdf of our application and email it to careers@innattaughannock.com. You can also mail it or bring it in person to the Main Inn.